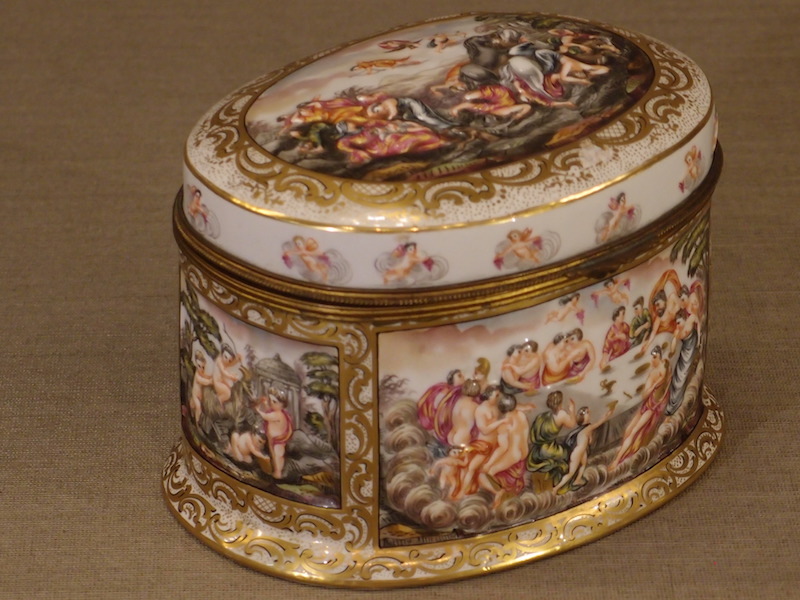 This very large oval "Capodimonte" casket is 15 cm tall, and 21 cm wide, 16 cm deep. The hinged lid is supported by a good gilt brass mount. The mount is often the first clue as to age. 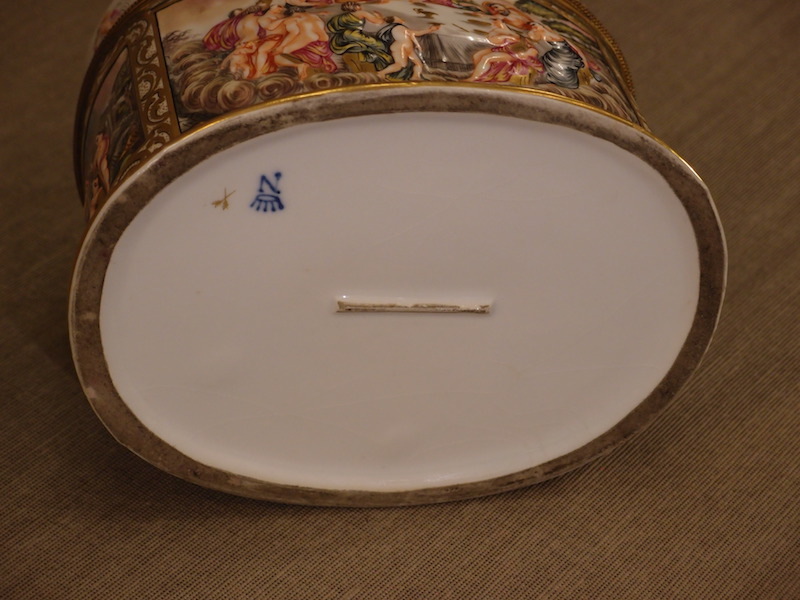 This casket bears the crowned N mark typical of all Capodimonte type porcelain (except the real original 18th century Capodimonte, which is marked with a fleur de Lis). This casket is also marked with a gilt crossed arrow mark, like a la Corteille mark, so this may be French, while most of these are of German manufacture. 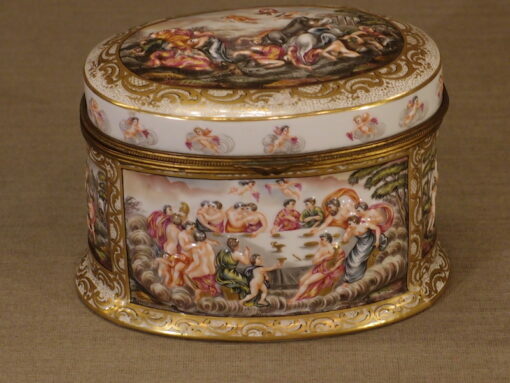 This very large oval “Capodimonte” casket is 15 cm tall, and 21 cm wide, 16 cm deep. The hinged lid is supported by a good gilt brass mount. The mount is often the first clue as to age. This casket bears the crowned N mark typical of all Capodimonte type porcelain (except the real original 18th century Capodimonte, which is marked with a fleur de Lis). This casket is also marked with a gilt crossed arrow mark, like a la Corteille mark, so this may be French, while most of these are of German manufacture.